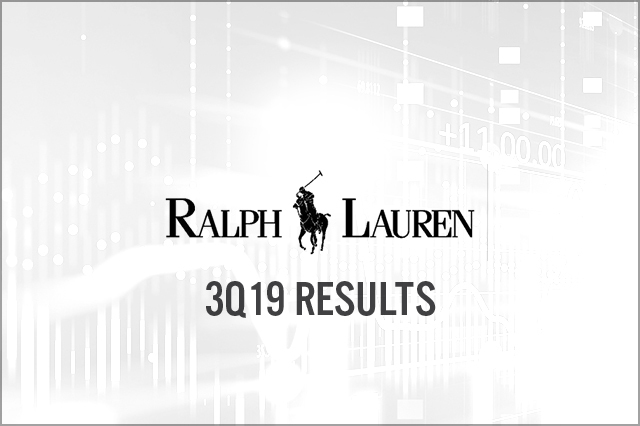 Ralph Lauren’s 3Q19 beat on revenues and EPS as the company executed on key strategic initiatives of brand elevation in concert with winning over a new generation of shoppers. Same-store sales increased in all regions, driving a 4% comp; digital revenues rose 20%. Both metrics benefitted from a 9% lift in average unit retail or price (AUR). Brand collaborations and limited-edition releases drove brand excitement and attracted a new generation of shoppers to Ralph Lauren brand.